Keyboard virtuoso, to me Brian Chatton has never achieved the appreciation he deserved. He was born Brian Charles Chatton on July 19th, 1948 in Bolton, England. His career started in the early 60s. But I haven´t any other info about them. If someone could help with the other members, period, etc., it would be very appreciated. In August 1967, Jon Anderson leaves the band. But they finally parted ways sometime in 1968. All the musicians later remained together as Hickory. They were managed by Ken Howard / Alan Blaikey team, and were originally formed to serve as backing band for John Walker (from Walker Brothers), but they went their own way instead. They released an album, fully composed by Howard & Blaikley, called Ark 2. But after some months, Brian Chatton left. They released 5th avenue bus in 1972. It was followed by Ragamuffin´s fool and Bump and grind in 1973. All the albums featured guest drummer Mike Giles. But Chatton leaves very soon (being replaced by Tim Hinkley). 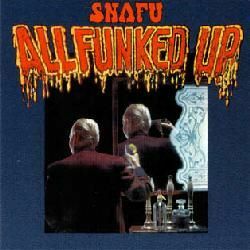 But Snafu´s third album, All funked up, still contains contributions by Brian Chatton, with help from Mel Collins (sax) and backing vocals by Liza Strike and Viola Wills. In 1975, Andy Mackay (from Roxy Music) was asked to compose the music for a TV series, Rock follies, about a female trio (one of the singers was the marvellous Julie Covington). Andy composed the music, but a stable band was formed to play all the music as well as appearing in the series. 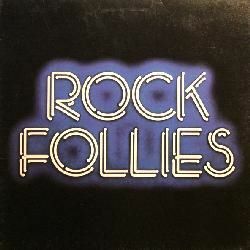 An album was released from those performances, called Rock follies. Michael Chapman recorded a live album, Pleasures of the street, but I´m not sure of the lineup as I haven´t it. Sorry, don´t know the other members´ names. Help, please! As he was sharing management (Chas Chandler) with Eric Burdon, Eric used Brian Parrish Band as his own band for a tour, with Brian Parrish as guest guitar. Robert Ahwai, Brian Auger, Karma Auger, Derek Austin, Ronnie Barron, Les Binks, Tom Blades, Tony Braunagel, Greg Brown, John ´Rabbit´ Bundrick, Eric Burdon, Rob Burns, Aalon Butler, Carl Carlton, Mike Carr, Jackie Carter, Paul Christie, Steve Conte, Chris Couchois, Pat Couchois, Mark Craney, Paul Crowder, Pat Crumly, Russ Cummings, Frank Diez,... up to 105 musicians. Then, Chatton then returned to John Miles Band (which lineup, please?). Tommy Aldridge, Carmine Appice, Pete Cowling, Barry Dunaway, Aynsley Dunbar, Mick Dyche, Roy Dyke, Steve Fister, Eric Frates, Sandy Gennaro, Don Harriss, Topper Headon, Joey Jelf, Dave LaRue, Pat Marchino, Nicko McBrain, Rick Navarro, Kevin Rian, Jerry Riggs, Allan Schwartzberg, Sean Shannon, Tony Spinner, T M Stevens, Pat Thrall, Pat Travers,... up to 27 musicians. Due to success, Brian Chatton also wrote more songs for The Hollies´ next album, who marked Graham Nash reunion with his old mates. The album is What goes around. Brian also acted as producer here. But I have a video recording from 1985, it´s a German TV appearance to promote the Bad attitude album, and it seems the lineup has been reduced (Bob Kulick is not there, and I don´t see Kati Mac). Was this a real live lineup, or just a special one-off gig? Pearl Aday, Mark Alexander, Ray Andersen, Jeff Bova, Tom Brislin, Chuck Burgi, Steve Buslowe, Domenic Cicchetti, Renee Cologne, Paul Crook, Karla DeVito, Rory Dodd, Sarah Douglas, Frank Doyle, Mark Doyle, Randy Flowers, Dave Gellis, Paul Glanz, Amy Goff, Elaine Goff, Johnny Golden, Steve Hunter, Carolyn Jablonski, Paul Jacobs, Davey Johnstone,... up to 51 musicians. They released several albums, having a big hit with the song ´I wanna be a cowboy´ (this song was later used in the soundtrack for the movie The last boy scout, starring Bruce Willis). Many years later, this song was in the news again, as Seopardie / Chatton / Ramsden & Richards have sued Kid Rock for plagiarism on his song 'Cowboy', as it´s supposed he has copied their song. And then, I haven´t more info about Brian´s musical activities. I think he worked in some solo albums, as well as developing his Uzlot project with mate Jon Anderson and Stuart Hamm, but I never knew if it finally materialized. As a composer, he wrote Sheena Easton´s hit ´Madness, money and music´. I need info about additional members, as well as knowing if there were different lineups. In the beginning, other names were announced as part of the band, such as Derek St Holmes. Can someone help here, please? Comments: This album was recorded by Brian Parrish in 1974, but it remained unreleased until 1976. Comments: A great guitarist. 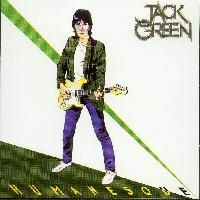 This album featured his band: Pat Travers (guitar, vocals), Peter 'Mars' Cowling (bass), Roy Dyke (drums). But the album also has collaborations by Brian Chatton (keyboards), and Mike Kellie (drums on the track ´Boom boom (out go the lights)´). Comments: Live video recorded in 1985. Comments: CD edition contains 4 bonus tracks. Comments: Live video recorded in 1984-1985. Now released as a DVD. Comments: He (still) is the sax from Roxy Music. This was his first solo album. With several companions from the band: Phil Manzanera, John Porter, Eddie Jobson, Paul Thompson, John Gustafson, and some other guests: Lloyd Watson (guitar, from Manzanera's band 801), and Roger Glover (bass), Brian Chatton (keyboards), Bruce Rowlands (drums). Comments: Recorded during April and May 1980. Comments: Of course, he's the keyboard wizard from The Nice and Emerson Lake & Palmer (or Emerson Lake & Powell, the variant with my much missed Cozy Powell). Other musicians featured in this soundtrack are Mike Sheppard (guitar, bass), Aynsley Dunbar (drums), Derek Wilson (drums), as well as Brian Chatton. 01. Brian was supposed to be part of Flashback The Rock Experience along with Phil Hilborne and Derek St Holmes, but don´t know if he finally played with them. Anybody knows? 02. Did Brian produce some album by the band Choke? 04. Was Brian a member of the live bands of Jon Anderson and Phil Collins, or did he only played with them in the early bands? Disclaimer: I don´t own or upload any of the videos linked here. I just include links to live videos that are already available, in order to show the work of this musician. Anyway, if someone feels that some link shouldn't be included, please write me at the email address shown below. And if you know of more videos featuring Brian Chatton, please, also write me with the link. Featuring: Ronnie Caryl, Brian Chatton, Phil Collins, Gordon Smith. Featuring: Brian Chatton, Bob Kulick, Meat Loaf. Rest of the band and vocalists unknown to me. Featuring: Doreen Chanter, Brian Chatton, Bob Kulick, Meat Loaf. Rest of the band unknown to me. Featuring: Doreen Chanter, Brian Chatton, Johnny Golden, Paul Jacobs, Bob Kulick, Kati Mac, Meat Loaf, Andy Wells. Featuring: Brian Chatton, Nico Ramsden, Nick Richards, Jeff Seopardie, Mark Smith. Brian Chatton: for his messages (2003). Jeff Slater: for info on Hickory and John Walker Band (2006). Mike Tolan: my friend, for great effort trying to investigate the details on Chatton playing in Eric Burdon Band (2001). Wendy Craig: for lots of info about The Warriors (2007). Ken Krapf: for info on Uzlot (2007). Gareth North: for correcting an error in the Boys Don´t Cry credits (2010). Kevin Leonard: for asking (2004). 06/April/2011 - Page added to the blog.